Top class and new class for Great Missenden CE School as current and past staff and governors toasted the opening of a beautiful new classroom on 14th November, on the exact 10th anniversary of the school's last OFSTED inspection. Great Missenden has been judged OFSTED Outstanding for 10 years, the last inspection was in November 2006, standards have remained high and the school has gone from strength to strength. 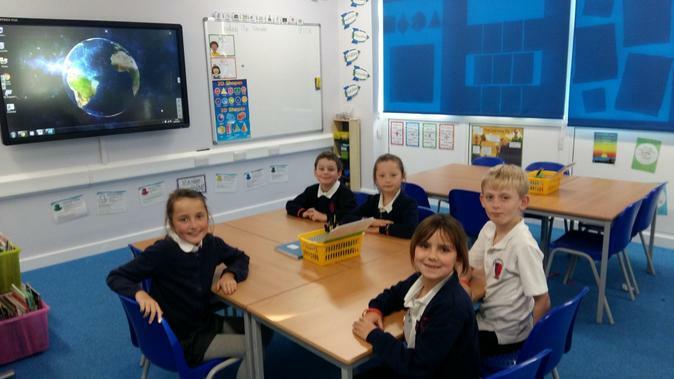 A great start to their new phase as a National Support School, providing advice and support for other schools. The school became an academy in 2014, and successfully bid to the Education Funding Agency for £340,000 to build the classroom and a new staircase, which was completed to the delight of the staff and pupils of 3C who will be calling it home for the rest of the school year. “The room is really bright and it makes the pictures on the window light up” said Arthur. His classmate Cadence likes looking through the window to their lovely view of the school allotment. William did spot a drawback though, ‘We can’t stomp on the floor, because there’s a class below’ he said. Amelie is also really pleased with her new classroom saying, ’it’s much better than the old one’. Kiki agreed ‘Year 3 classrooms are the best ever’. Lots to celebrate for the staff and children of Great Missenden School, and it’s not even Christmas yet!